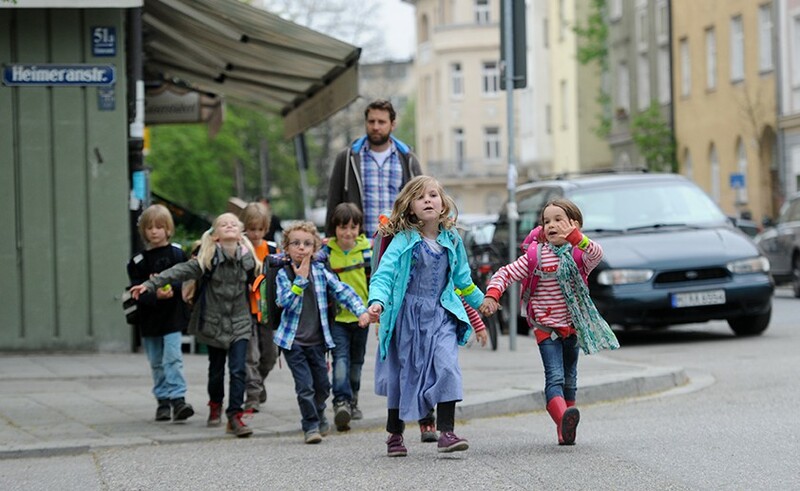 The children walk together in a small group to school on a predefined route. In the morning they meet at their “bus stop” and then start walking together to school. The group is accompanied by two parents (taking regular turns with the other parents involved). Incidencially, the children learn how to interact safely with traffic by starting each day with fresh air and physical activity. Littly by little, they improve their self-confidence and safety on the road, so that the they can soon continue their daily way to school on their own. The participation in this project increases continuously. In 2016 alone, the “Walking Bus” was implemented in 47 primary schools (7 of them for the first time) reaching approx. 700 children and their parents. The already proven concept can be easily transferred to other schools.